We’re embarking on a huge programme of work to design a single taxonomy and transform our operating model and the content that is published on GOV.UK. The aim of this work is to make it easier for people to find the information they are looking for. And we need to find a simple way to measure if we are improving this for our users. It’s a question that matters to all of us who work on GOV.UK. We have many measures that tell us the technical performance of GOV.UK. For example, uptime or page speed. We have other measures for specific improvement projects, or to measure a team’s output. But these don’t tell us if we’re quantifiably getting better according to our users over longer time periods. People come to GOV.UK to do many many different things. They come to apply for a driving licence, to find out about how to become a magistrate, or to interrogate government policy. GOV.UK is not just a GDS team in Whitechapel managing some pages and the rest of Whitehall managing other bits. A user comes to GOV.UK and it’s one thing, one website, one design, one interface to government. Through all of the work on content operating models that Trisha Doyle has talked about, we learnt that we need to have a sense of collective ownership of GOV.UK if we are going to improve it. We work in silos because it seems easier for humans to manage things in that way. But users are suffering. We need to be brave to step out of the silo and do this, to make things better for the user. Usability benchmarking is a way to do all of those three things. We’ve been doing this already - benchmarking some GOV.UK tasks for the last 4 years. This year, alongside the content transformation work, we’re going to go up a gear, and increase the amount of benchmarking we do. Benchmarking tasks involves two measures: time to complete a task, and failure (or completion) rate. For example, one of the tasks we currently benchmark on GOV.UK is around the subject of pensions. We ask “Jeff was born on 5th December 1959, find out when he will be able to get his state pension”. We have kept the task consistent over the last 3 years, and have found the percentage of people succeeding in this task has gone up. At the last round of benchmarking it stood at 84%. The average time it takes for someone to complete this task was 2 minutes 40 seconds the first time we did benchmarking. Now stands at 2 minutes and 1 second. It is impossible for us benchmark every task on GOV.UK. There is too much content, too many pages to make this practical. This is where the Top Tasks management process comes in. We need to choose the tasks that are most important for us to get right, and measure how quickly they are completed. We’ve been working to formulate a process for government to define Top Tasks alongside Gerry McGovern, an expert on digital user experience and developer of the Top Tasks management model. All the people who own or publish the content agree on the list of Top Tasks together. The aim of all of this is to track our shared performance over time and to help government feel more collective ownership of GOV.UK. We will work on Top Tasks alongside our work on content transformation, to measure how we improve GOV.UK through that programme. 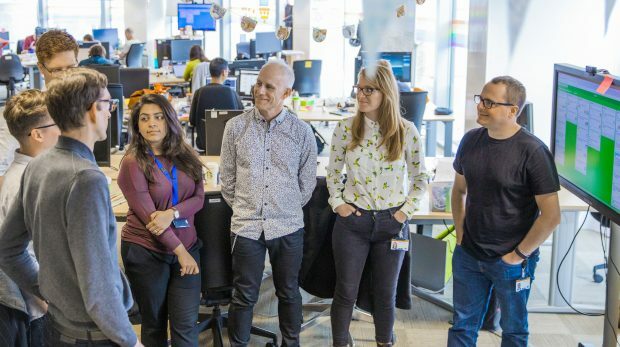 As part of signing up to group and transform your content with the content transformation team on GOV.UK, you get the chance to work with us to define the Top Tasks for each theme and measure their performance. After having identified the Top Tasks and benchmarked our performance we will continue to measure the performance of those Top Tasks every year. Katie Taylor is User Research Lead for GOV.UK. You can follow her on Twitter. Please can you provide a link to the Annual Cabinet Office web survey/ user satisfaction results for Gov.uk and other government depts for benchmarking purposes. I've worked with Gerry 2 or 3 times over the years on top tasks and customer carewords. It was a real pleasure. He also worked on a joint project with your previous incarnation (Business Link) that also included the devolved administrations. You might want to try and dig out this research, if you still have access to it as it may provide a useful reference point to you.